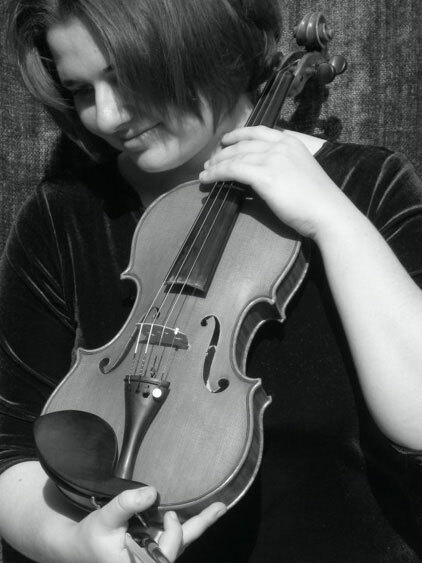 In the summer of 2006, Hannah made her debut with the Detroit Symphony, performing the Mendelssohn Violin Concerto under the baton of Edwin Outwater. In 2005, she debuted with the Knoxville Symphony Orchestra under the direction of conductor Cornelia Kodkani Laemmli. In 2009, she performed Saint-Saens’ Introduction and Rondo Capriccioso with the San Jose Youth Symphony. In January and April of 2005 she debuted with the San Francisco Symphony, performing in the Adventures In Music series under the direction of Edwin Outwater. In 2006, Hannah performed the Bruch Violin Concerto with Symphony Parnassus, returning in 2010 to perform the Beethoven Violin Concerto. In January 2005, under the baton of Michael Tilson Thomas, Hannah took part in a performance by the San Francisco Symphony/San Francisco Symphony Youth Orchestra of Luciano Berio’s Duets, playing “Lorin” alongside Symphony Concertmaster Alexander Barantschik. In 2004, she won the Annual Concerto Competition of the San Francisco Symphony Youth Orchestra, performing Camille Saint-Saens' Third Violin Concerto. 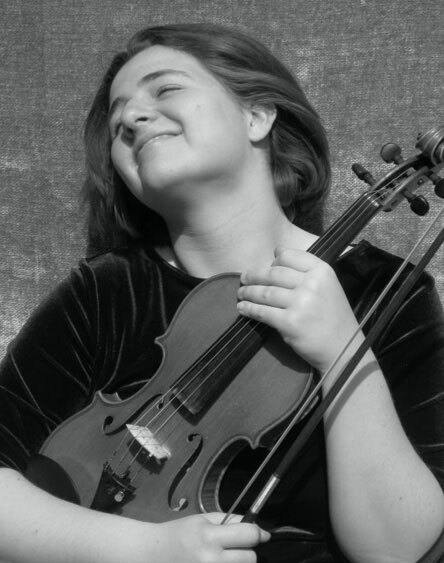 In 2007, she won first place at the Summit Music Festival’s Concerto Competition, playing Chausson’s “Poeme.” Also in 2007, Hannah took part in the Starling-DeLay Seminar at the Juilliard School. In 2010, she was one of the young violinists chosen to participate in the Julian Rachlin and Friends Festival in Dubrovnik, Croatia. In the summer of 2009, she soloed in the Mendelssohn Violin Concerto with the El Camino Youth Symphony on their 2009 European Tour. The Tour took place in Poland and Germany, and included a debut at Gewandhaus' famed Große Saal and Potsdam's Nikolaisaal. In 2011, Hannah performed with the Saratoga Symphony, playing Max Bruch’s rarely performed Third Violin Concerto. At twelve, Hannah was appointed Concertmaster of the San Francisco Symphony Youth Orchestra, the youngest in the history of the orchestra. She was concertmaster for four seasons, leading the Orchestra on its 2004 and 2008 European Tours. In 2009, Hannah was selected to participate in the first ever concert of the YouTube Symphony Orchestra. The concert took place in Carnegie Hall in New York under the baton of San Francisco Symphony Music Director Michael Tilson Thomas. In 2011, Hannah joined the San Jose Youth Symphony on their European Tour of Germany, Austria, and Italy, soloing in the Mendelssohn Concerto. The tour’s highlights included a performance in Salzburg’s Mozarteum. 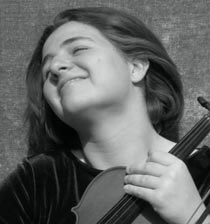 Hannah has participated in masterclasses with Gil Shaham, Christian Tetzlaff, Pinchas Zukerman, Ruggero Ricci, Aaron Rosand, Zakhar Bron, Dora Shwartzberg, Lewis Kaplan and Daniel Hope. In addition to her solo work, Hannah is an avid chamber music player. Her quartet debuted in some of London’s most acclaimed venues, including Cadagon Hall, St Mary’s Abbotts Church, and Royal Festival Hall. For seven years, Hannah was a full scholarship student at the Colburn School in Los Angeles, studying with Robert Lipsett. Her teachers have included Boris Kuschnir, Zaven Melikian, Mark Kaplan, and Zoya Leybin. In 2010, Hannah was accepted to the Royal College of Music, London, under the tutelage of Felix Andrievsky. She is currently in her second year, studying with Mark Messenger.